I love the Painted Blooms designer paper pack in the current SU mini catalog, there are so many pretty florals. It's nice when you can find a design like this that does most of the work for you. It's too pretty to cover up so your card stays fairly simple. I got 6 card fronts out of the 12"x12" sheet and used various Stampin' Up sets to complete. 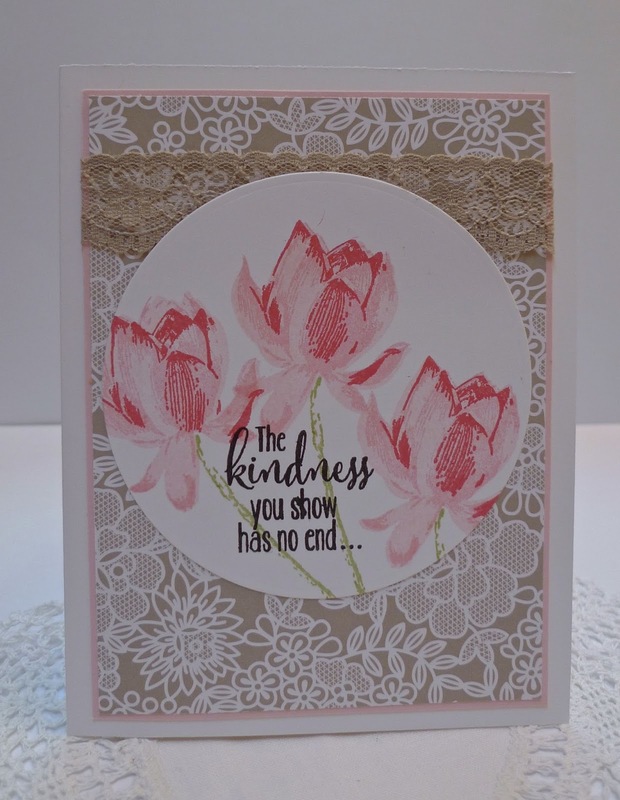 For the Mojo Monday weekly sketch I used all new Stampin' Up! supplies, Lotus Blossom stamp set, Sahara Sand lace ribbon, Something Borrowed designer paper, Whisper White, Pink Pirouette cardstocks. 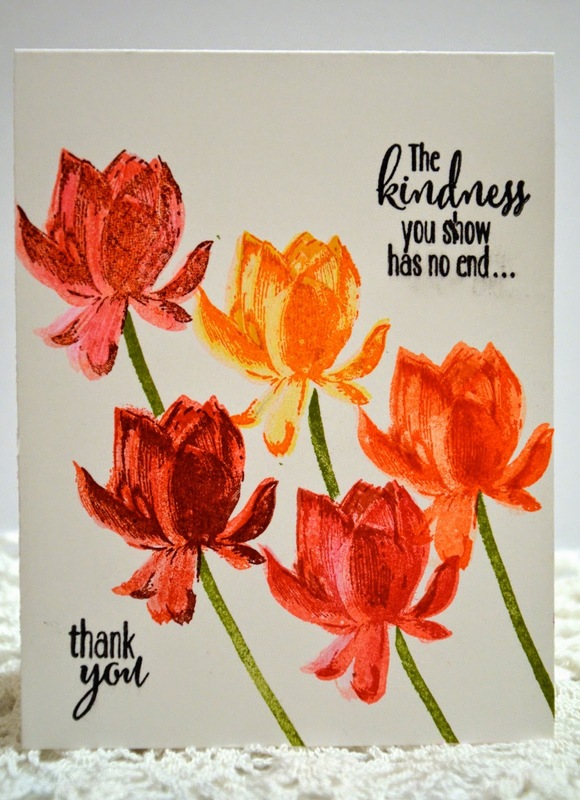 A clean and simple one layer thank you card using Stampin' Up! 's new Lotus Blossom set on Whisper White with various ink colors. 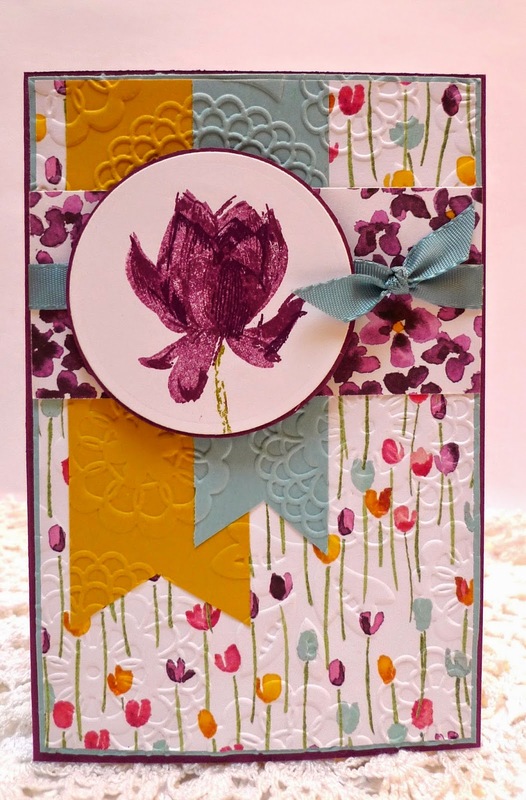 My first Mojo Monday card for 2015, used all Stampin' Up! 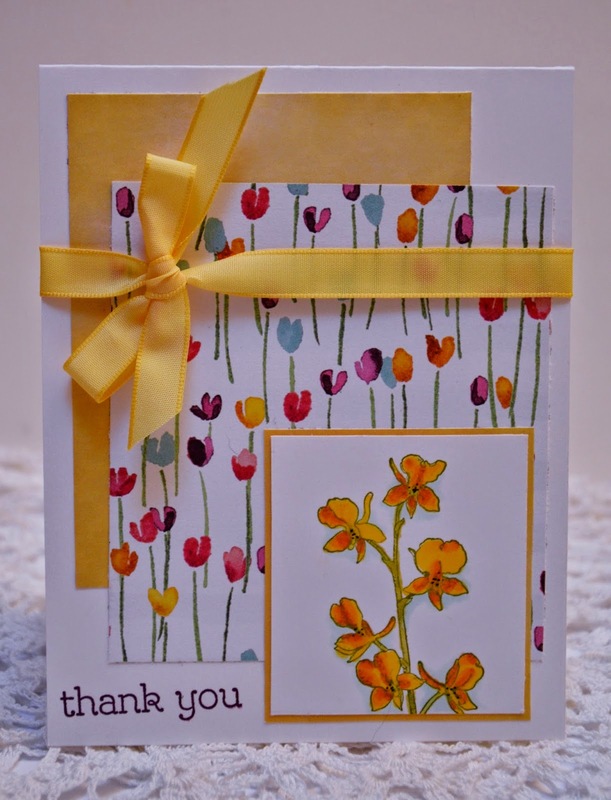 supplies of Whisper White cardstock, Painted Blooms paper, Happy Watercolor stamp set and Daffodil Delight ribbon. 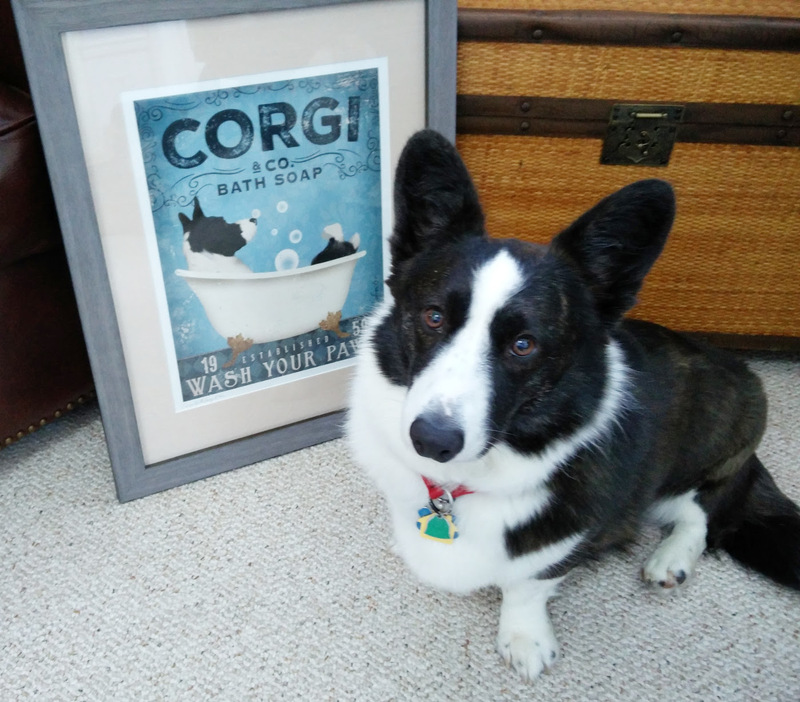 Used some new 2015 Stampin' Up! 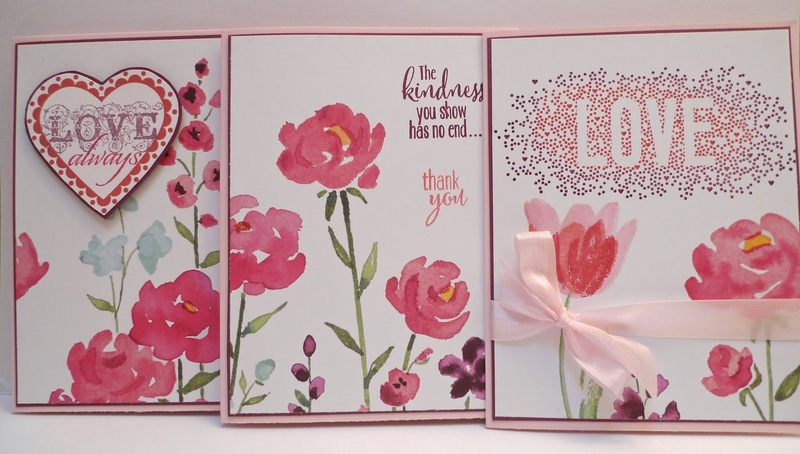 supplies: Lotus Blossom stamp set with Painted Blooms designer paper (so pretty for spring cards), Lost Lagoon ribbon and cardstock with Razzleberry and Hello Honey also.